Gordon Lawrence (1994) suggested that the psychodynamically oriented approach to coaching has an emphasis on “revelation” rather than “salvation”. 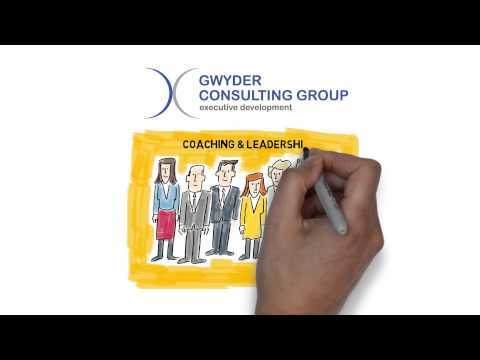 In adopting a psychodynamic stance the role of the executive coach becomes one of trying to assist the executive in making sense of their work experiences, rather than solely facilitating goal achievement, skill development or teaching management tools and techniques. Unless transition occurs, change will not work! According to William Bridges in Managing Transitions: Making the Most of Change, it isn’t the changes that do you in, it’s the transitions. Change is not the same as transition. Change is situational: the new site, the new boss, the new team roles, the new policy. Transition is the psychological process people go through to come to terms with the new situation. Change is external, transition is internal. Though leadership has been defined in a number of different ways, most contemporary definitions directly or indirectly focus on the impact of those in leadership positions on their organization and its members. Who You Are, Drives What You Do! As an executive coach and leadership development facilitator, my mission is to help successful leaders achieve positive change in behaviour: for themselves, their people and their teams. I believe that leadership is an inherent characteristic to be developed rather than a generic set of skills to be learned. And I believe it’s time to approach organizational success from the inside out. Leadership today is a real juggling match between “managing” (controlling the what) and “leadership” (creating the how). Perfecting this balance and exhibiting appropriate leadership in a full 360° leadership sense (not only with direct reports, but also with peers and with senior colleagues) creates added complexity and challenge. Add to this the need for energy, trust, and emotional intelligence, then no wonder the truth about leadership is easier “talked” than “walked”. Generating new allies within the organisation is a prerequisite for developing your internal influence and network of support. However, in today’s turbulent economic and organisational environment, it is just as important to develop external influence and allies. Whatever the position you occupy, you are a representative of your organisation. If you have a strong network of allies externally who think well of you, this will enhance your organisation’s reputation. It will also enhance your own reputation, which will be fed back to those who matter in your own organisation.